POLY-CASTER™ UTV for Sale in Toledo, OH | ABCO SERVICES INC. There's no better way to apply finishing touches to sidewalks, paths and driveways in Toledo than with the FISHER® POLY-CASTER™ UTV hopper spreader. Designed to fit into the back of a UTV, the POLYCASTER UTV hopper spreader lets you easily spread salt or a 50/50 salt/sand mix where only a UTV can go. 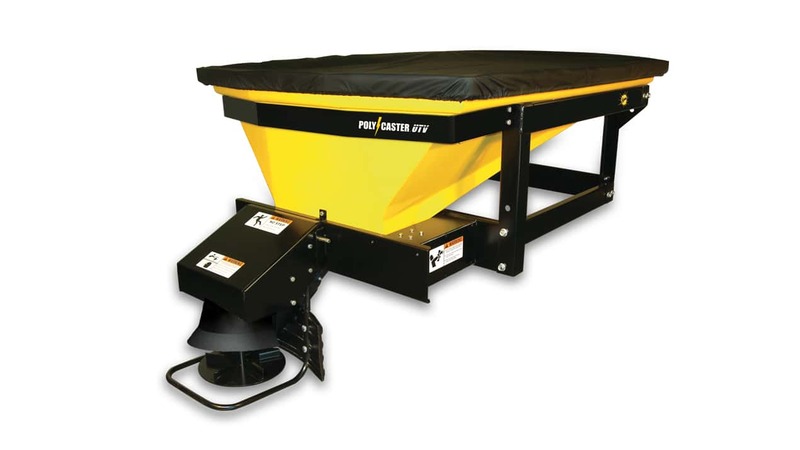 The 11 cubic foot capacity hopper comes standard with inverted vibrating V, top screen, a heavy duty steel frame and a fitted tarp cover, providing reliable performance storm after storm.